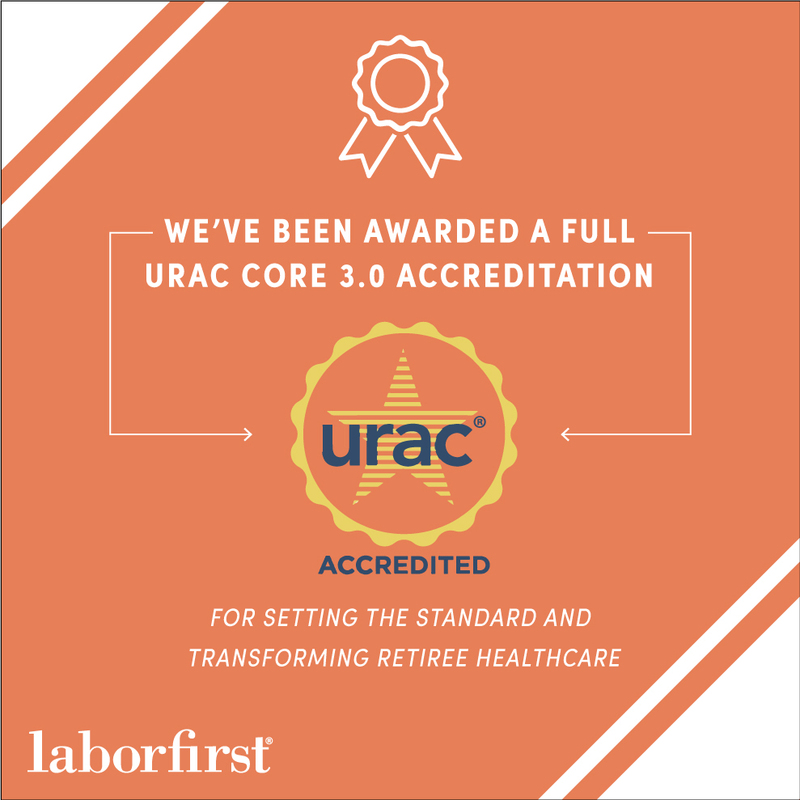 Labor First is very proud to announce that we have been awarded a full URAC Core 3.0 Accreditation. URAC is an independent, nonprofit accreditation entity, whose sole mission is to advance healthcare quality. URAC uses evidence-based measures to ensure standards that promote industry best practices, encourage quality improvement, and protect and empower consumers. In a complex industry, like healthcare, it is critical that national standards for quality, accountability and consumer protection are being met. These core URAC principals align perfectly with the Labor First mission to make healthcare better for retirees. It is an honor to serve all of our clients and we will continue striving for excellence to ensure our retirees receive top notch advocacy and service.